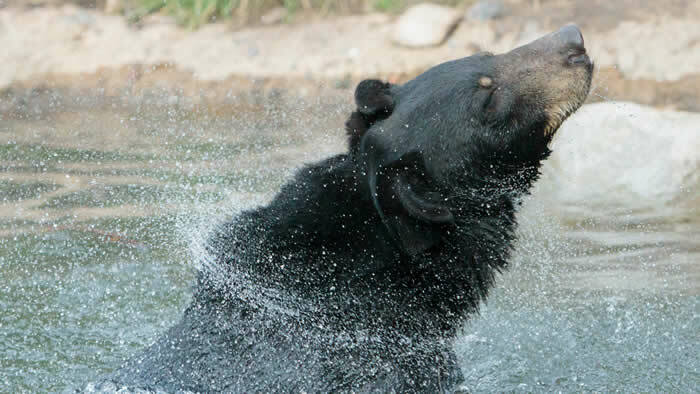 American black bear populations are healthy, but threats include conflicts with people and poaching for body parts, some of which are used in traditional Chinese medicine. These omnivores eat a variety of plants, fruits, nuts, insects, fish and mammals. Their diet varies by season, geography and accessibility. Unfortunately, garbage cans and bird feeders are often more convenient. 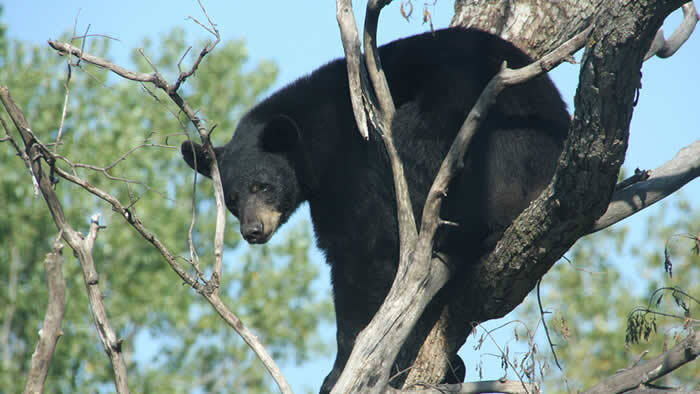 Throughout the United States, Canada and northern Mexico; black bears live in a variety of wooded and swampy habitats with dense cover. In Minnesota, they are concentrated more in northern counties. Mostly solitary, bears roam long distances in the fall to find food— especially acorns and other nuts—to increase fat reserves for winter. Mothers give birth to and nurse 2-5 cubs that are born during hibernation. During a bear’s hibernation its body temperature drops about 10 – 12 degrees and its metabolic rate is reduced only by about half. Bears do not eat, defecate, or urinate during hibernation. As cold weather approaches, the black bear forages selectively on the richest food to build up fat adding four inches of fat and gaining 2–3 pounds a day. 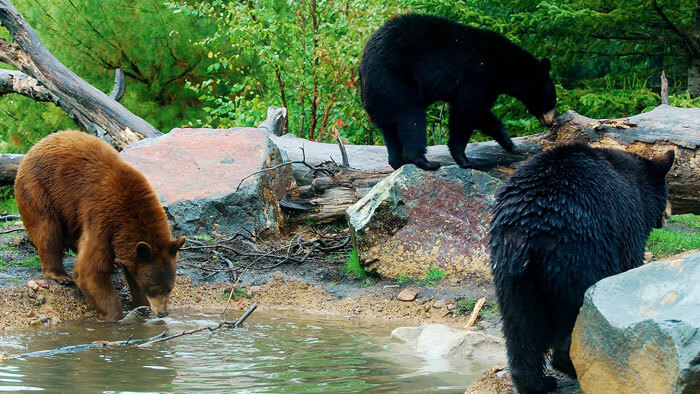 There are twice as many black bears as all other bear species combined. Many populations are actually increasing. Black bears are generally more shy than brown bears.